An informal poll was put out a few years ago about getting an abdominoplasty (which most of us know as a tummy tuck), and the results were pretty clear: the majority of the population thinks that tummy tucks are solely for cosmetic purposes. 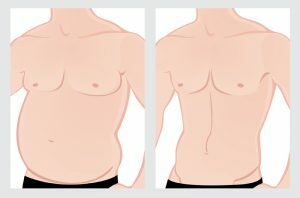 It is true that most patients will undergo an abdominoplasty following significant weight loss, in order to remove excess skin and tighten the abdominal area. With that being said, there’s actually much more to it. What most people don’t realize is that there are a myriad of health benefits that go along with a tummy tuck! Getting a Baltimore tummy tuck can improve overall health in a number of ways. One of the most significant effects will be on the patient’s mental and emotional health. Human beings are by nature social creatures, and to some extent, we all care about our physical appearances. How we feel about ourselves and how we perceive ourselves affects every aspect of our lives – socially, professionally, personally. In order to have healthy relationships, we must be able to view ourselves in a positive light. We must have a good self-image and a healthy level of confidence. A tummy tuck can help to improve a person’s self-confidence exponentially. It’s a well-documented fact that people respond to physically attractive individuals in a more positive manner. This is often done subconsciously, but it is a human habit nonetheless. A tummy tuck improves one’s emotional and mental health significantly by improving their interactions with others. Physical health is also greatly improved by getting a tummy tuck in Baltimore. The surgery removes excess skin and fat from the patient’s midsection. Excess weight brings with it a number of health issues, such as diabetes, heart disease, strokes, heart attacks, hypertension, back pain, and more. While it won’t cut the chance down to zero, a tummy tuck is a great way to alleviate part of the problem. The fact that an abdominoplasty must be maintained with healthy eating habits and exercise also helps. Exercise releases endorphins in the brain – the body’s natural “feel good” chemicals – resulting in another healthy benefit to your body. Endorphins help to prevent depression, anxiety, low energy levels (usually a result of one of the first two conditions), insomnia, and a host of other health issues. It’s important that a patient does their homework before getting any kind of surgery. After all, you spend time picking out the right swimsuit to wear after the procedure, so it’s important to put care into your choice of surgeon! Dr. Jeffrey Schreiber is a top-rated cosmetic surgeon in the Baltimore, Maryland area who’s a recognized Baltimore Magazine Top Doc, and a Clinical Instructor at The Johns Hopkins Hospital. His Baltimore cosmetic surgery practice is highly regarded, thanks to his many successful Baltimore tummy tuck procedures and numerous awards.